Sharing this post may save your friends and family heartache at the holidays. Most dog bites leave pet guardians saying “He’s NEVER done that before!” They are always surprised. 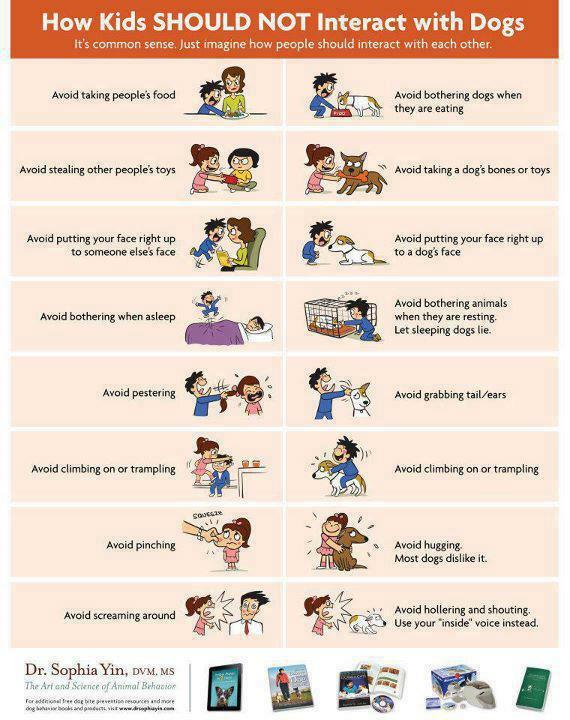 Especially, if the dog has tolerated similar interactions before. . But here’s the thing. Tolerance has it limits. We see ridiculous videos all the time of some child riding a dog, pulling his ears, pestering him in his face, while the dog gives off all sorts of cues to the idiots (yes, I said it) taking the video and failing to stop the child from annoying the dog. As humans, we all have a breaking point of tolerance. I definitely do! Your dog does too. Even dogs we think are “bomb-proof” have a tipping point in how much stress they can handle. Fatigue, being off-schedule, noise, new environments, different people, the aging process, and how he feels that day all play a role in your dog’s emotional state and what nonsense he’s willing to put up with. Even if he has tolerated it before many times — which by the way shame on you for allowing — don’t assume he will do it today. Even with a child or visitor he knows very well. Your dog trusts you to NOT put him in situations that set him up for failure. Each time you put him at risk, creates a situation that is more likely to produce a dog bite than the last. It’s not fair to the dog. As the holidays approach and you you are planning for guests, think about how much guests in your home can start to grate on your last nerve, no matter how much you love them. They make remarks that annoy you, leave the toilet seat up, and make a mess in your kitchen. Dog’s cannot express their frustration in the same way humans can. And much like when you reach the breaking point and snap with anger and harsh words, your dog may snap with growling and teeth. Strangers can make them nervous to start and add in the holiday bustle, there nerves may be on edge. Add to this a child who is invading his space on the couch, darting by his food bowl, creating an elevated level of energy in the house, squealing loudly, or pulling his ears and his tail, or maybe even teasing him with food and toys…. it’s a disaster waiting to happen. A dog that is usually lovable to your own toddler or child may hit their breaking point in ways you cannot predict. Something as innocent as an attempted hug or kiss on the snout could be the breaking point. It’s very important to teach all children ways in which they need to respect the dog and to be sure your dog is given plenty of time to rest alone & away from the visitors. Never leave a child unsupervised with any dog. Read your dog’s body language and respect it 100% of the time. Review these graphic with visitors in your home, especially children. Do not set your dog up to fail. Take steps necessary to keep him in a quiet calm place. He does NOT need to be part of the festivities. Supervision means awake, adult, and aware supervision. Eyes on the scenario not just present. And not distracted by some other activity. If you cannot supervise – put the dog in his crate. He will need some quite time anyway, away from the hustle and bustle. Bedroom doors and doors to the outside can easily be opened carelessly. Be sure to secure entry to any area your dog may be in. A simple hook and eye can keep little kids from opening the door by accident. You also need to set boundaries with adults. Some of your visitors think they “know dogs” or may have a little too much egg-nog and do something really stupid that puts your dog at risk. Doors & gates are often left open during the holiday season as people come in with food and gifts, door dasher dogs slip past quickly. Keep your dog on a leash, even in the house. Take time to do proper introductions to any other dogs thatyour guests may have brought with them. But remember, nothing says they even need to play together at all. In fact, it may be better if you ask your brother to leave his dog at home. Socialization of your dog is important — but it doesn’t replace the safety precautions you need to take. These charts by Dr. Sophia Yin are great teaching tools to sit and have a conversation with your child, children who will be visiting, and maybe even some adults. 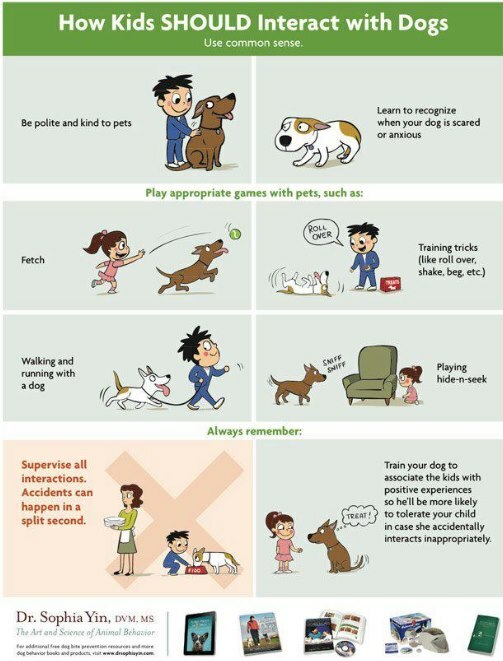 Take care of your dog & your children and play it safe. Where appropriate, purchase a crate and use it to give your dog a place of his own to stay stay this holiday season. If the issues are severe enough with your dog — consider boarding him while visitors are present. Need more help preparing your dog for crate training, reactivity, socialization, etc? Call me! I can help. The K9 Coach is a Professional Certified Dog Trainer. We specialize in Dog Behavior Modification, Dog Aggression, and Dog Obedience. The K9 Coach Dog Training specializes in expert service for Behavior Modification Dog Training and Dog Obedience Training. Serving Charlotte NC, Pinehurst NC, and Fayetteville,NC ,Wilmington and Raleigh with in-home private training, off leash training and board and train programs.